Hidden inside Addis Ababa's current fabric, Menelik's town still exists. Addis Ababa represents a remarkable exception among the African capitals. The short Italian occupation has only partially altered the peculiar evolution of its urban structures and this allows reading the city's astonishing history and exceptional architecture through its old buildings and the paths linking them. The fascination of the old Addis Ababa is the product of architectural syncretism that involved Ethiopian, but also Indian, Armenian and European constructors. These beautiful buildings still survive, largely unknown, scattered in different districts and far away from each other, often hidden by enclosing walls, by other houses or big trees. The authors Milena Batistoni and Gian Paolo Chiari - identified and described 134 of these buildings, in addition to those existing inside the old Imperial compound. Through their history the book highlights the identity and the atmosphere of the old Addis Ababa, also with the help of an extremely rich photographic documentation of the buildings and by seven itineraries that make their identification easy and pleasant. 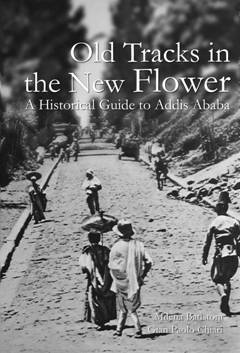 With this book, the authors intend to provide a historical guide to Addis Ababa. They also hope to contribute to the preservation of such an important historic and artistic heritage. Arada Books is a small and independent publishing house, established in Addis Ababa in 2004. It was created - and is managed - by people inspired and fascinated by the culture of Ethiopia, the country where they live and work. Arada Books intends to contribute to the development of the Ethiopian historical and cultural heritage through the enhancement and distribution of intellectual property. It also wants to facilitate the access to such a culture and to improve the latters communication with the rest of the world. For these reasons, Arada Books has chosen English as working language, although it intends to release bilingual editions (Amharic and English) in order to make the books accessible to a larger part of the Ethiopian population. 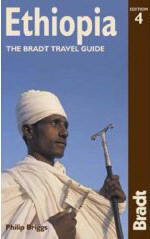 Arada Books specializes in the publication and distribution of books on Ethiopian culture. Ethiopia's millennia-old monuments, Djibouti's stunning diving, Eritrea's architecture - the Horn of Africa has plenty to offer the traveller. Use this guide to discover the continent's best-kept secret. A thorough course on Amharic--the official language of Ethiopia. Ideal for anyone seeking to develop a firm command of the language, whether studying independently or with a teacher.